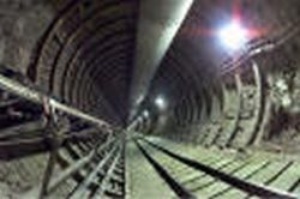 The US Nuclear Regulatory Commission (NRC) is “flouting the law” by not conducting a licensing review of the proposed Yucca Mountain nuclear waste repository in Nevada – a review that was clipped early in the the Obama Administration and seen as an environmental coup – a federal appeals court said earlier this week, according to US media. The ruling, however, may be a pyrrhic victory for those who want the proposed dump to open as it will likely have little practical impact in the long-running dispute over Yucca Mountain. The Obama administration and Senate Majority Leader Harry Reid, of Nevada, have promised for many years to kill the project. The legal formalities surrounding killing the Yucca project again highlight one of the central difficulties of international nuclear power: No country in the world has yet successfully developed a permanent, safe manner in which to store spent nuclear fuel and radioactive waste that remains lethal for centuries. Sweden and Finland have launched the most successful efforts toward deep geological storage, but their eventual repositories will be only for domestic spent fuel. The UK, too, is desperate to cite a repository to accommodate waste from its prospective new fleet of reactors. But its most recent effort to do so was scuttled by the municipality that would have hosted the repository. Russia, too, gained public approval to set up a laboratory at Zhelznogorsk, near Krasnoyarsk in Central Siberia, to study the possibilities of building a nuclear repository there, but other sectors of the public remain deeply suspicious of the country’s ability to safely and transparently construct such a potentially dangerous facility. There is more than ample environmental foundation to abandon Yucca because of design flaws that were omitted from the initial application to the NRC for the Yucca project, submitted by the US Department of Energy in 2008, during the administration of George W Bush. The Nevada Agency for Nuclear Projects four years ago voiced compelling concerns about Yucca’s operation with so-called titanium drip shields to protect buried containers of high-level nuclear waste and spent fuel from American reactors. This concern was connected with studies of Yucca undertaken in the 1990s by the Energy Department and state studies, which both showed that water ran through Yucca’s layers of volcanic ash much faster than scientists had initially calculated. It was determined at that time that special metal was needed for the containers to gather water run off, as well as sheets of titanium that would be installed after the repository closed to prevent water from corroding the containers and releasing radiation to the environment. Among the literally millions of pages of Energy Department documents posted on a shared computer data bank, two indicated that the water containers would fail much sooner than the 10,000 years they are required to function for Yucca to qualify as a repository, thus disqualifying the half-built repository – already $96 billion in the making – as a potential storage site. Bruce Breslow, the executive director for the Nevada Agency for Nuclear Projects, said these two damning documents were left out of Yucca’s application to the NRC. Nevertheless the US Court of Appeals for the DC circuit, in a 2-1 decision, said the NRC must resume an $11 million review of the license application, even though this funding will only cover a few weeks of technical work on the license. Yucca Mountain was designated as the nation’s sole repository for high-level nuclear waste during the George W Bush administration, which sought to license the facility and begin sending 70 million metric tons of highly radioactive waste to the site from reactors around the nation. In its ruling, the appeals court said the order was not supported by the law. Only $11 million of funding for the license review remains, enough for several weeks of work and far short of the amount necessary to process the application for Yucca Mountain to begin operation, the Los Angeles Times reported. In the wake of shuttering the Yucca project, former Energy Secretary Steven Chu promised to appoint a blue ribbon panel to examine other methods of long term spend nuclear fuel storage. The panel failed to produce viable alternative long-term storage sites, and in 2012 it recommended the federal government create an interim storage facility somewhere in America to give the panel more time to begin a new political process to locate a permanent site. In all, the United States presently holds 64,500 tons of spent nuclear fuel awaiting final internment, according to Bellona calculations. Because US Congress is unlikely to approve additional funding, the appeals court ruling appears to be merely a symbolic victory for the plaintiffs, which were led by South Carolina and Washington state, both of which have large amounts of nuclear waste awaiting internment. Public utility regulators from those states were also petitioners in the suit. But the states involved in the suit, and the nuclear industry groups supporting them, seem more interested in leveraging a clear yes or no on the final review of the Yucca project from the NRC and the Obama administration, rather than letting a final decision remain ambiguous. Since Yucca’s inception, consumers of power produced by nuclear plants have paid $35 billion in fees and interest to federal coffers specifically for a facility designed to manage spent nuclear fuel, which, until 2009, was designated as Yucca Mountain. This became an immediate flashpoint for industry litigation against the government, costing Washington millions of dollars. How will Washington fulfill its obligation to spent fuel? Despite the well-founded environmental reasons for turning the lights off on the Yucca project, there still remains the US federal government’s self-imposed obligation to remove spent nuclear fuel and radioactive waste from the country’s nuclear plants. The NRC is currently in the process of redrafting its Waste Confidence Rule, which states that the commission is confident about the future availability of a repository, after the existing rule was declared invalid by the US courts, World Nuclear News reported. Without a Waste Confidence Rule in place, the NRC is unable to approve construction and operating licenses for new nuclear power plants. The NRC recently issued a draft Waste Confidence Generic Environmental Impact Statement for public comment as part of the ongoing process, said WWN.